I know. I know. I know. I have been such a slacker lately. It’s been 3 months since my last post and I feel as though I have lived a whole other lifetime since then, but I am FINALLY setting aside some time to getting my blog updated. 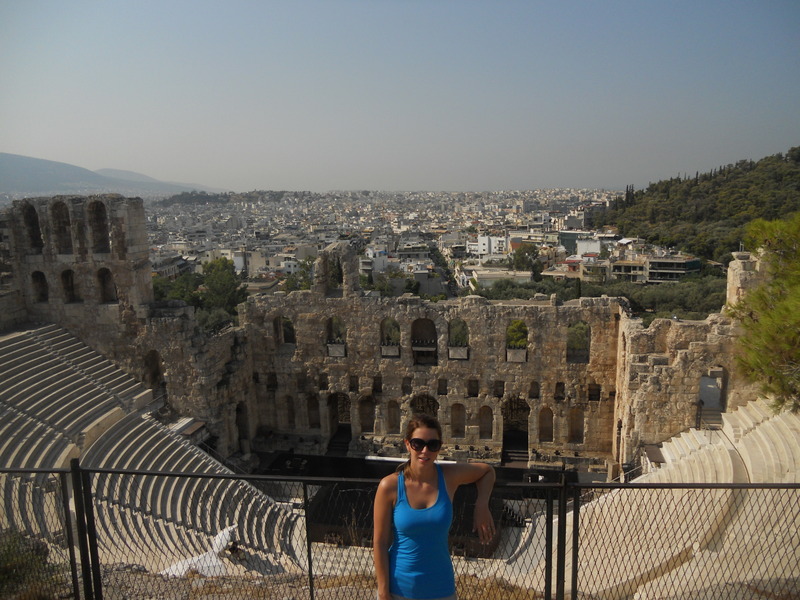 So, let’s talk about Athens, Greece. We arrived into the city exhausted and beyond jet lagged after a few days of marathon wedding activities in France. More on that later. The fact that our flight from Paris to Athens was delayed a few hours didn’t help with this exhaustion and we ended up arriving at 2am instead of 9pm. Really, it was okay since we were too tired to do anything anyway. We checked into our hotel and awoke to a beautiful blue sky and a view of the Parthenon. Yay! Later that night, we went for an awful dinner. Fortunately, the horrible food and horrendous service were balanced by the view of grape vines and the fact that we were within steps to another hill which promised amazing night-time views of Athens and the Acropolis. It did not disappoint! 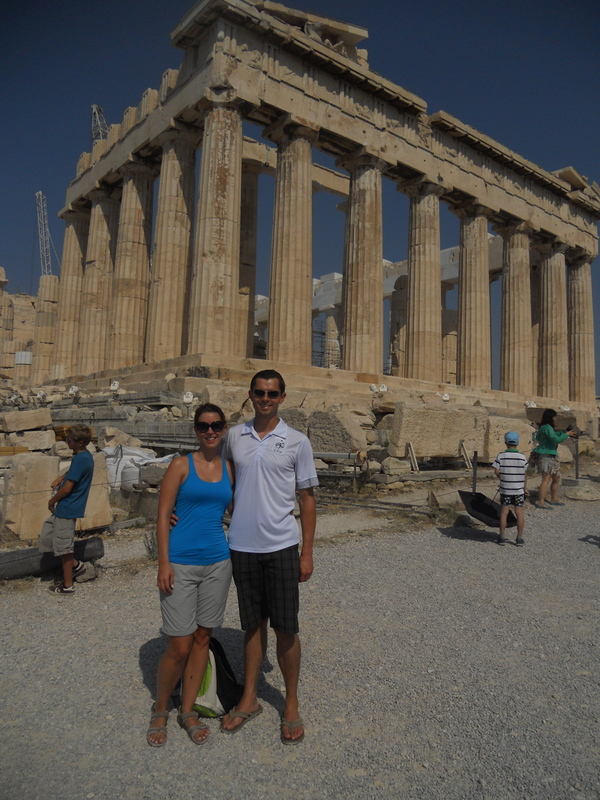 The next day, we made a failed attempt at waking up early to beat the heat and crowds at the Acropolis. As expected, this was really the highlight of Athens. 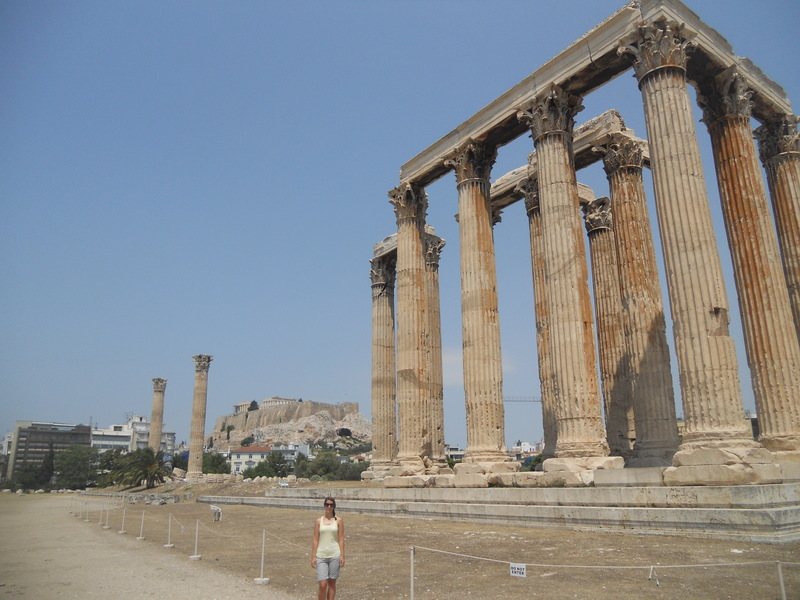 We spent a couple of hours exploring the site in the blazing sun before going to the Acropolis museum, which we may or may not have gone in just because they had cold water and air conditioning. Feeling as though we have seen and done it all, we spent the rest of the day napping in our air conditioned hotel room followed by a much better dining experience that night. Having officially overcome our exhaustion and jet lag, we were ready to take the island of Crete by storm the following day. 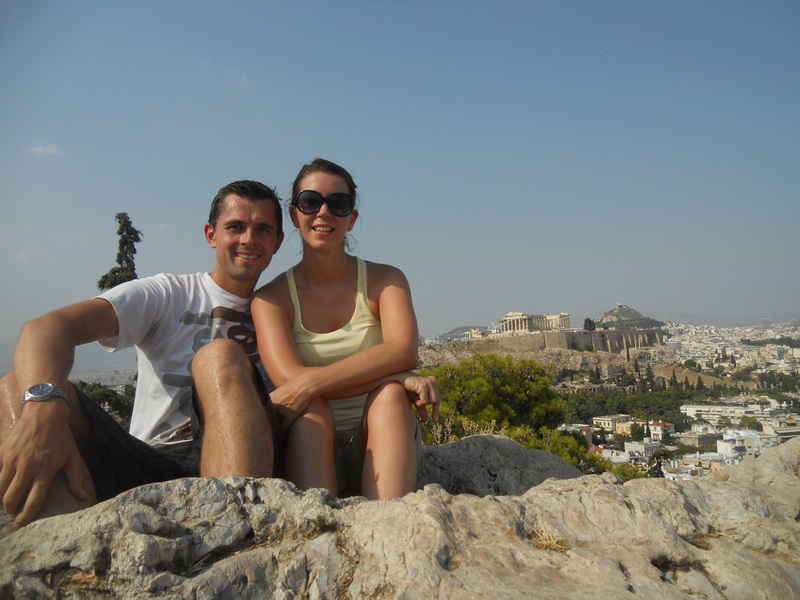 Below are some pics of the Acropolis and for the complete Athen’s album, click here. Lovely, Stace! I see the crane is still at the Parthenon, but at least the scaffolding that was all over it when I visited for the Games in ’04 is absent in your photos. 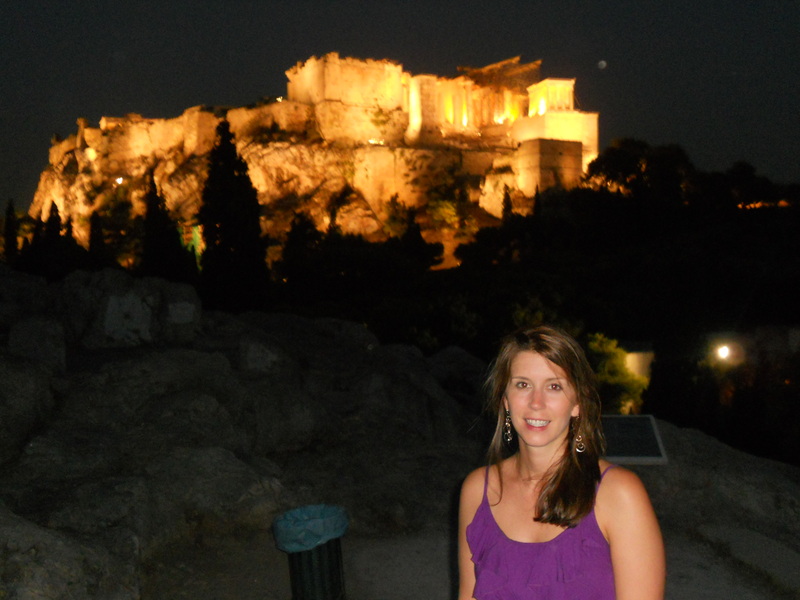 I too stayed in a hotel at the base of the Acropolis, and from the rooftop restaurant/bar, the view of the floodlit Parthenon was very similar. I remember the killer heat, too (it was late August for me). 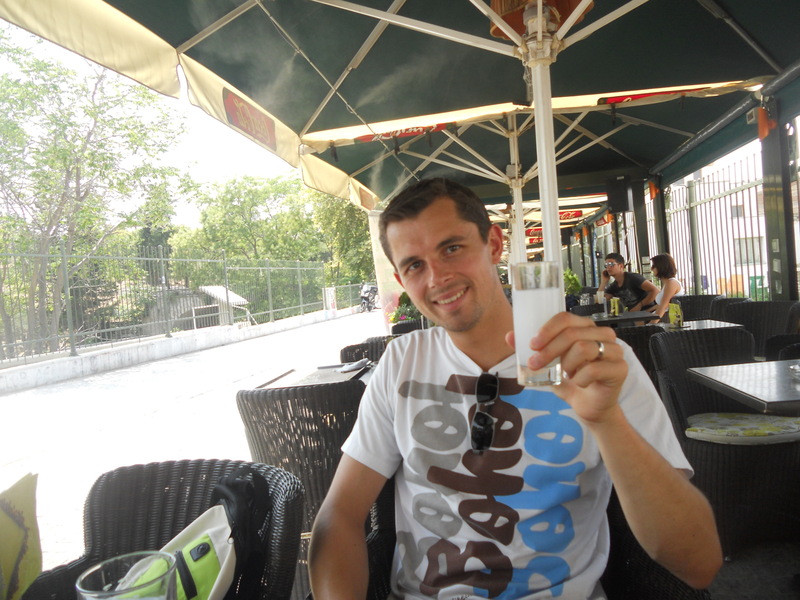 Looking forward to your blog about Crete! Beautiful writing and pictures. Keep up the good work!!!!!!! I too am always looking forward to your adventures.